Linkedin is one of those giants in social media which arrives with a storm in the web world and so to conquer it, LinkedIn profile tips are necessary to follow this optimization guide. It exclusively provides a platform for its users to interact in the professionally made environment and getting them the ability to highlight or show their achievements and interests. Linkedin can be called as an ideal forum for job finders. It makes users build their profiles with a good and strong professional background to showcase their specialization and also maintain multiple levels of connections with other relevant personalities. With every great development inside Linkedin to give users access to a multitude of features, make it the most advanced professional user base in the web, from which you could harness its technical platform to get the best out of it. Here is a great infographic on some facts about Linkedin Profile, followed by Linkedin Profile tips to build your profile with optimization techniques. For you being a Linkedin user, it means that you have to bring out yourself and your talents in the profile to market yourself and the skills you have. This is possible only if you have a strong SEO with your strong profile to get found easily on the Linkedin network and get noticed about you and your profession. Provide particular and correct keywords throughout your profile with inclusion in your recommendations and endorsements, but don’t overuse it. Have your job titles keyword optimized, which means to add your job qualification with few relevant keywords. After this, you can rate your Linkedin profile against other profiles with the same or closed keywords on Linkedin search. Make a lot of connections with desired ones. In Linkedin type networks, a majority of search for professionals are made through seeking in personal connections. Participate in relevant groups and have good group memberships. Google crawls the group title on your profile and knows about you through that group and this also makes your profile better with keywords. 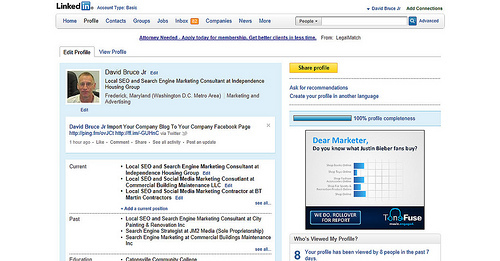 Make sure to have no blank field on your profile as more detailed profile performs better. Promote your Linkedin profile with a link or profile badge on your blog, your email signature, forums or social media like facebook, google+, Pinterest. Adding a link to your LinkedIn profile from your Google+ profile section will pass your google+ profile authority to Linkedin. This would get more of Google trust on your Linkedin profile too. Pinterest can also be used to add a link to LinkedIn as it can drive many visitors to your LinkedIn profile and know about you. Learn how to optimize a Pinterest profile for you and your blog. Vanity Url: Make the unrelated vanity URL numeric string with your own name to be more catchy and search friendly. Add appropriate content to your profile for others who read your profession. Add your simple headshot photo in your profile. It is good to have the same photo on all social media as it goes well in easy identification. The Linkedin search has boolean operators in them for a more complex search with terms like OR, AND, Not. Take an example like you want to find an electronic engineer or a journalist, then type in ‘electronic AND engineer OR journalist’. For exact matches, use quotation marks on either side of particular terms and use the NOT operator to eliminate certain terms like for example “columnist” NOT “freelance writer”. This method of searching allows you to look for accurate profiles. You can save searches up to three and get email notifications if there are any new profiles similar to those in your search query list. For example, if you are looking for an engineer from some institute, say ‘abc’, then search for “engineer AND abc” and save that search query. Linkedin will then notify you about any new additions to the list on a weekly or monthly basis. You can make use of a really good resume builder tool on Linkedin to turn your Linkedin profile into a resume. Store it, print it or share it as pdf. Go to http://resume.linkedinlabs.com and select ‘Create a new Resume now’ button. Grant access to the application and it will redirect you a page where you get a document type sheet for your resume. Choose different formats and create your content. Save your resume and download it as a pdf file. Similarly to this, there is also a download option for your Linkedin profile too. Are Profile headers not much appealing? Go to profile, then edit profile and take mouse pointer to the double-sided arrow at the right most of each header. Click to drag and rearrange the headers according to the positions you like. With multiple levels of connections, you need to organize your contacts. Export LinkedIn contacts to another contact or people management system and for this, go to ‘Network’, then ‘Contacts’, and then ‘My Connections’. Now scroll down to the bottom and click on the option ‘Export connections’. Use either .csv or .vcf file to export your contacts. In some cases, to identify any contacts in a huge collection of connections, it may become burdensome to locate them unless you have their additional information. For such case, deleting unnecessary connections that are not having much value to you. There is an official application, InMaps developed by the developers of Linkedin. 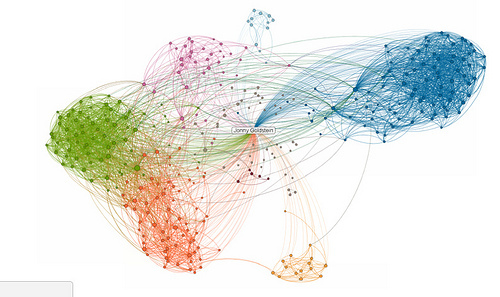 This tool creates a good network plot linking all of your contacts with you and with each other. Just zoom in on the map and get to know the connections with virtualisation. Click on a dot to know the contact’s details and his/her connections on the map. This is a great method to connect with connections and share easily with other members too. Don’t know if you are in the right group? Linkedin group stats give you a sense of the group, like how many members are there, their activities and their expansion. View detailed infographics on discussions, jobs posted and promotions over a time period. To use it, go to the page under investigation. Click ‘ i ‘ button on your group name tab, then click on ‘Group statistics’. An application called Company Buzz is another one from Linkedin. 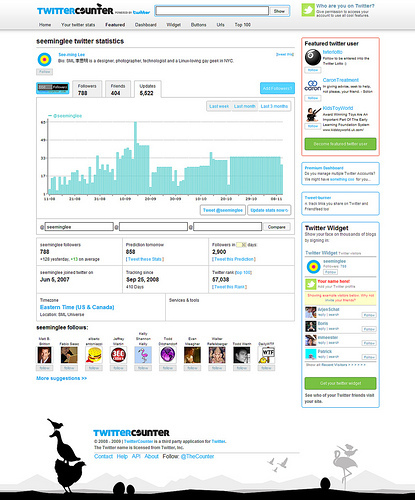 It helps you track of what people are saying about you and your brand through Twitter. See a time-based trend to trail information over time. Edit search queries to catch twitter trends. Applications by Linkedin Developers are must try things for users to add some value to their profiles. Just have a look at the developers page to see some cool member based plugins that make you embed profile summary card or a linkedin logo on your web pages and much more. For those who are on twitter can share linkedin status updates on it. Post your update in the update box and click ‘Share with’ box. Choose ‘Public + Twitter’ from the dropdown menu and click Share to post your update on twitter at the same time. This article was published in Internet and tagged LinkedIn, Social Media, Website Traffic.